Get into your groove this Valentine's Day with your loved one with Altec Lansing’s wireless speaker, the Solo Jacket. Waterproof and sand proof, portable, plus a 6-hour battery life and effortless Bluetooth and stereo sync lets you keep any Valentine’s Day going! Made from a rugged, rubberized material skin, this speaker has an IPX67 waterproof and shockproof rating and it floats! It is compatible with Apple, Android and BlackBerry devices; tablets and laptops, this speaker can also be used with the 3.5mm auxiliary input which connects non-Bluetooth enabled devices. With a built-in rechargeable Li-ion battery you get up to 6 hours continuous playback, however, if that runs out, use an AC adapter to keep the party going. 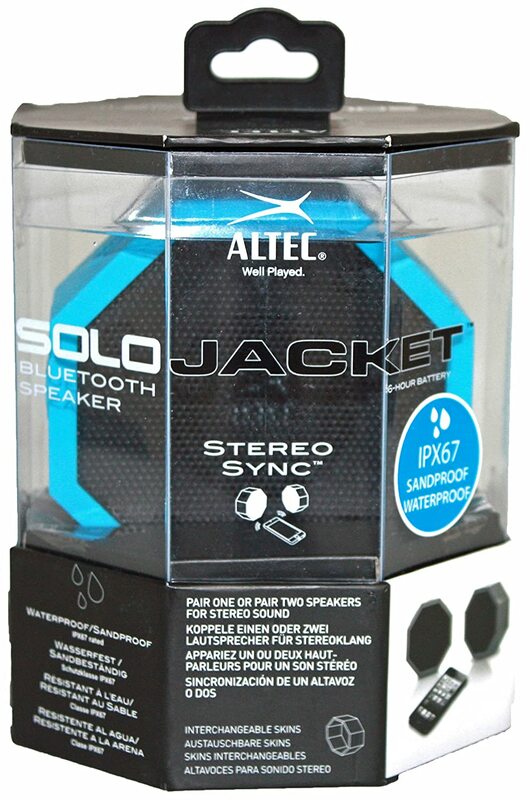 The Altec Lansing iMW375 Solo Jacket Bluetooth Speaker features Stereo Sync capability. By pairing two Solo Jackets together you create a massive stereo listening experience. Also includes Voice Confirmation and an onboard microphone for clear, hands-free communication. You can purchase the Solo Jacket for $56.39 from Amazon.com. 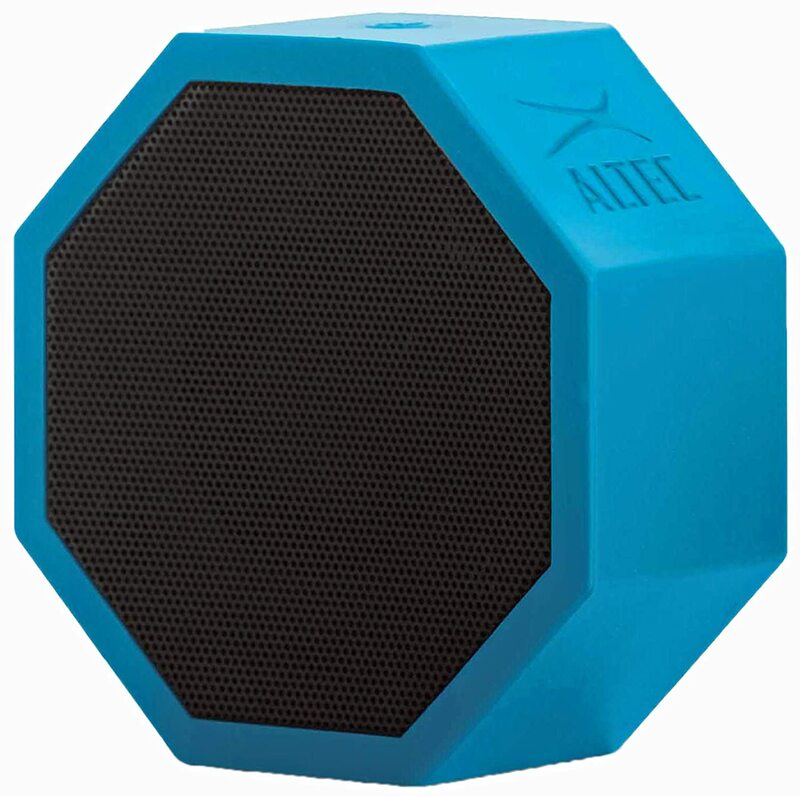 Altec Lansing is generously offering (1) Solo Jacket Wireless Speaker to a lucky winner!